The chain stay is both bonded and bolted to the dropout, shouldn't be a problem. If the gap changes in width or you see other changes we'll get you a replacement immediately. If that happened on a customer's bike we would replace it immediately, as we were prepared to do for you. In any event it won't catastrophically fail. Anyway, now Renovo is Re-no more, so I'm not going to follow up with them, and while I can't tell from the photos if it's in fact gotten worse it is a bit more vexing in light of this new creaking I can't seem to track down. I suppose I'll go through the usual steps of swapping wheels and pedals and so forth, but even if this crack isn't the culprit I can't help wondering what else might be going on deep in the bowels of this ship. Or, for all I know it's temperature-related--maybe the bike swells up in the summer when it's hot, but then it contracts when it's cold and the fittings start wriggling around a little bit, hence the creak suddenly manifesting itself in autumn. Or maybe it's unreasonable to expect a quiet wooden bike, just in the same way it's unreasonable to expect a quiet wooden staircase. Or maybe it's just termites. Clearly I need to consult with an arborist. Or, you know, ride a bike made out of metal. Podium?? This is the first time I have had a shot. Some great threads recently. Helments really get the gang going. And Statistics?? Woo Hoo. Ferrous frames are your friends. If bikes were supposed to be made of metal, then we would have had bikes before any of the "metal ages". 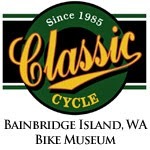 I haven't seen any evidence of stone age man chasin' down a mastodon on a bike, even a fat one. Wow...so your Renovo puts out the sounds of seabirds along with it's quirky creaking! I'd think you would be SO relaxed by all that sound during a ride that you would fall asleep and thus careen right off into traffic. That Renovo is a very dangerous bike...no WONDER they went out of business! Probably not podium, but finishing in the lead group. Get yourself a nice titanium frame and install the seatpost, bottom bracket cups and headset. Make sure every mating surface is surgically clean. DO NOT use anti-seize paste. Guaranteed not to creak! Also not coming apart ever. This is one of the few actual good uses for the Selfie Stick. Just put you smartphone of choice on video record mode, and do a few climbs, descents, etc. Play it back on a nice monitor with good sound, and find that creak! sometimes its not the bike, its the rider. try fish oil capsules three times daily. if that does not work try earbuds. If a Renova rides through the woods and no one hears it, does it actually creak? Love the "a haunted pirate ship on the high seas"analogy! 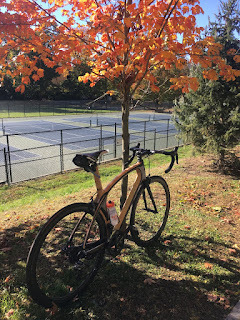 Twas gold,Snobby.gold,I tell ya.Me thinks a little wood dough (matching color of course)and a new coat of clear shellac will have u back exquisitly riding in the bright foliage of fall before the snow flies. 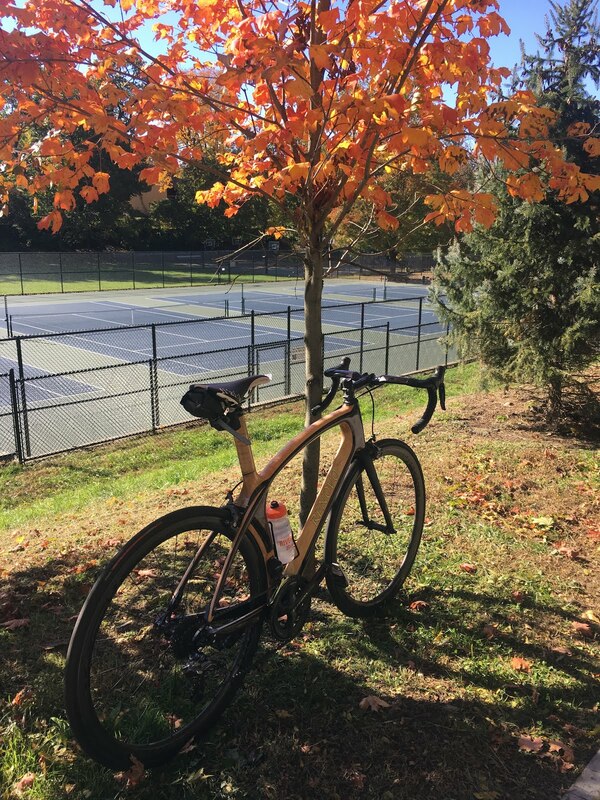 "swells up in the summer when it's hot, but then it contracts when it's cold"
Based on multiple earlier Renovo reviews, status reports, etc., I can't help but think that ANY problems you are experiencing, are probably related to that single bottle cage that's mounted on the wrong tube. I was getting this creak and, very long story short (lots of parts cleaned and lubed and removed and swapped out), I couldn't figure it out. Then I found I had the same creak on another bike, so I figured it was the cycling shoes. But it happened with different shoes, so I thought it was the keys in my pocket. So I removed the keys, and it was still there; it turned out it was my knee. Bikes of all materials creak, but now I don't have to give a rat's. As someone with a couple of wood and fiberglass kayaks, my guess is that with some epoxy (get the good stuff: West Systems, MAS, Total Boat, not some hardware $3 junk) and some wood working how-to videos and you should be able to FIY. 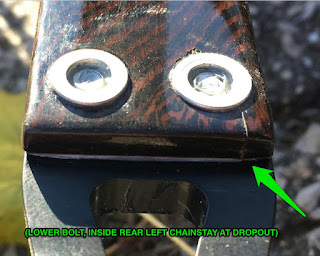 With not seeing it up close to tell 100%, what I'd probably do is remove the drop out and tape off the slot where it slides in, widen the crack in the wood as much as possible with a knife or something, and put the epoxy into it as well as filling the bolt hole in the wood, then clamping it to press the crack closed. 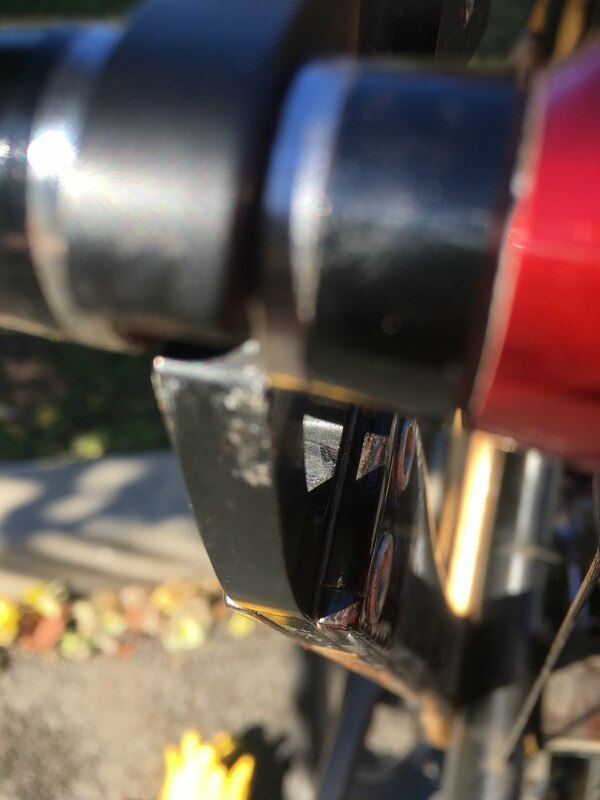 When cured, re-drill the hole for the bolt (probably using the other side of the chainstay as a guide for the pilot hole, if that's possible), sand it smooth, clean it with some alcohol, and add whatever kind of clear coat you want to protect it from UV. A few years back,when I was younger,I worked at a boatyard on the Great Lakes. (Lake Erie). Lots of wood boats. They need to be swelled, or just held in the boat sling for a few days for the wood to swell so as to not leak and sink to the depths of the much. Maybe your answer is in there somewhere. Go to a marina, and ask around. If everything isn't fiberglass and plastic around your area,these days. Arrrrggg,wait until pirate Wednesday though. Shimano qr skewers have cured a lot of creaks. That's a good point, have experienced firsthand. Will try next. I would've posted sooner, but I had to finish watching the video — 2:12:55 is just amazing! What is the repair protocol? They offered a replacement, presumably because it came out of the factory faulty, but what if that crack developed years down the track? Are you meant to bin the entire frame? Or on a whole grander scale; what if as part of a sideshow strongman's act, he breaks the Renovo's top tube over his knee, could it be repaired? Even if the only practical way of doing it was grafting on a steel replacement tube? 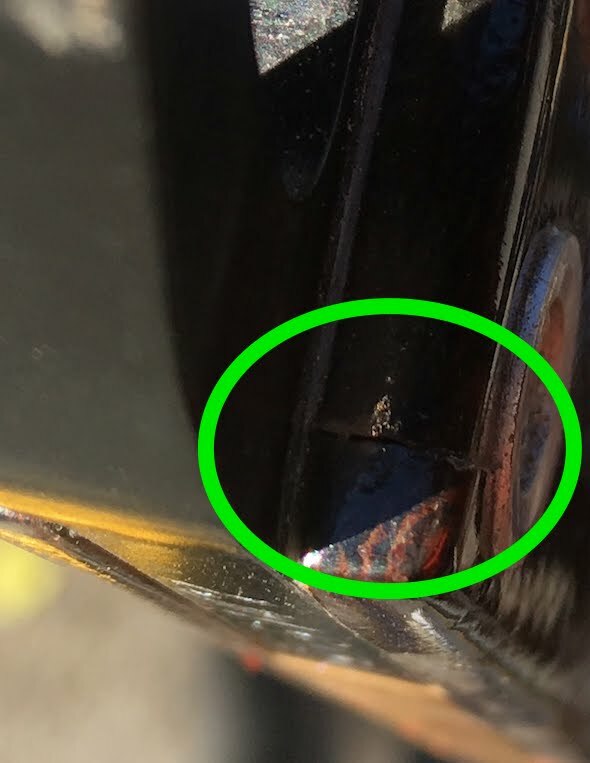 Such repairs are possible with most other exotic material frames I can think of, and if they cost 10k you may want to bother yourself with fixing it. However sweet the ride, if there's no "repair manual", might it be said that it was never meant to be ridden? You know, something for the idle rich to display next to all the other folk-art pieces they've acquired? 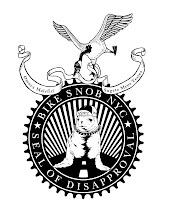 All I'm saying is my steel bike has a small creak from (I think) the bottom bracket in the cold weather. Went away when the weather got warm. Starting to come back now. The one time I heard a peep from my bike, even though it was a ping, ping, pinging sound, it felt like scratching on chalkboard. And I would make a face like the one in the painting by Munch, The Scream...turned out it was the front hub. I'm sure I kissed the mechanic; I was so happy. Murphy's oil and gorilla glue. My wooden staircase has been silent all summer but creaks like a sailing ship again now that the cold weather has returned... Knew I should have changed it for steel. Or ride a cheap bike, like my Arrow e-bike. * I figure if it gets me from point A to point B, then whatever noises it makes on the way are no big concern to me. At least you're left with some artisanal firewood. I clicked on the video, then closed my eyes to better visualize the wood sled geometry at the critical, possibly creaking intersections. Apparently I dozed off, and upon awakening 2 hrs later,found everything still on autopilot, waiting for me to compose a comment. Should you desire to undertake frame repairs, I strongly recommend you seek out a copy of the old "Forest Products Laboratory" manuals on wood structure repair. You may need to whip up a batch of Resorcinol glue; mind the temperature of your workshop environment. Also, any scarf joints in a load-bearing frame member ought to be at least a 10:1 keyed taper for optimum bonding and strength, post repair. Throughbolts or fishplates may give additional peace-of-mind. 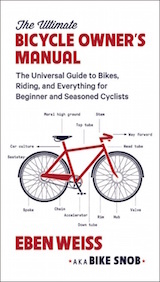 Unfortunately, I don't think Lennard Zinn covers any of this in his bike repair book, so I guess you're on your own. That ship thingy put me to sleep in 30 seconds...P.S. Fix your bike with a few small nails. I read the comments from former co-workers. YIKES! Time to polish it up all pretty, mount it on the wall and hope it becomes a collector's item someday. Ferrous Bueller you're my hero.